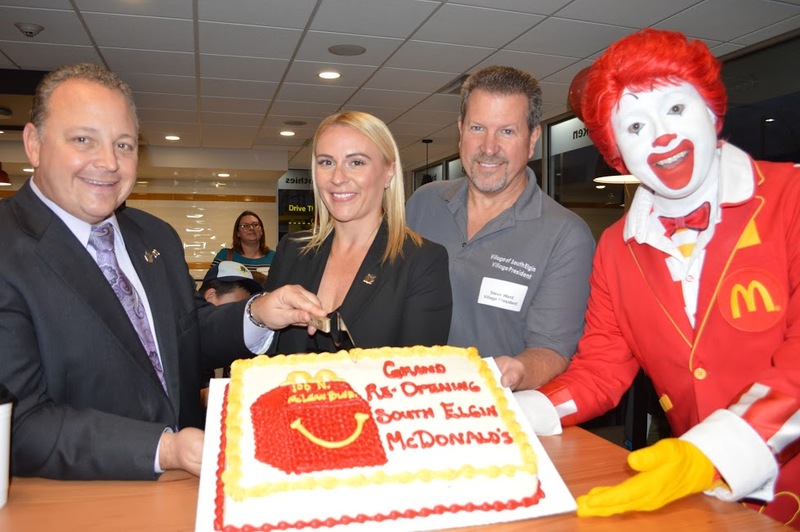 The new South Elgin McDonald’s, located at 100 N. McLean Blvd., celebrated their grand re-opening with a ribbon-cutting, cake-cutting, and VIP party on Monday night, October 23rd. 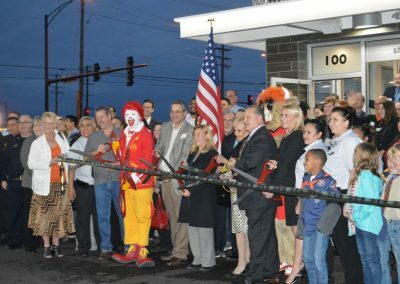 The event was standing-room only at McDonald’s. 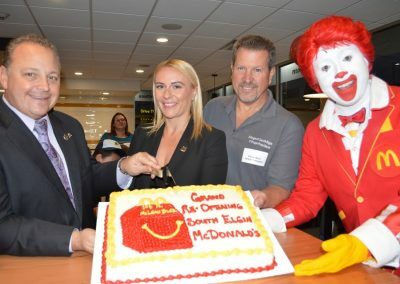 David Bear, Owner-Operator, is proud to bring a new, upscale McDonald’s to the South Elgin community. 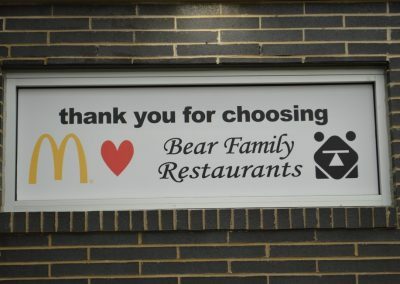 This new restaurant will be enjoyed for years to come. 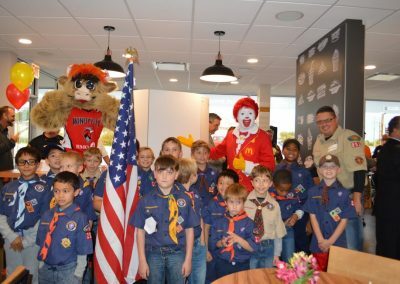 The new McDonald’s has an expanded dining room, self-order kiosks, mobile-ordering, table service and a state of the art kitchen. 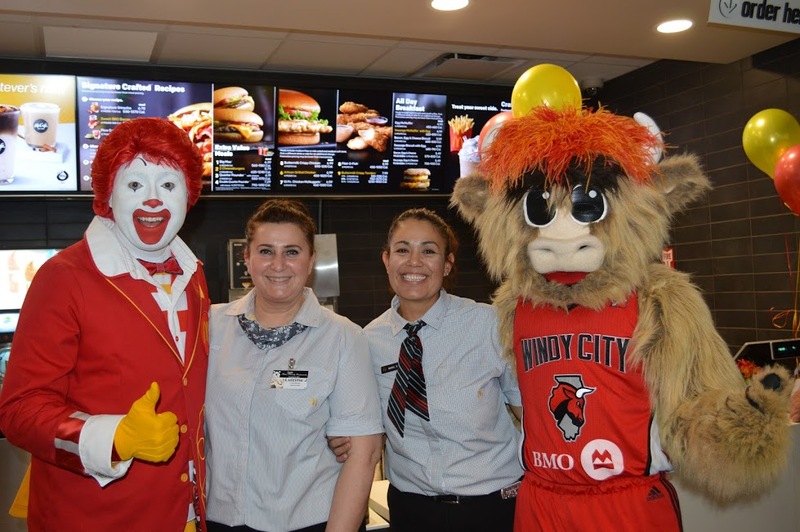 It is exactly what South Elgin McDonald’s lovers have been waiting for. At the VIP party, David Bear welcomed friends, colleagues, Village employees, Elgin-area Chamber members, and representatives from the local schools for a special grand re-opening VIP event. The night began with a presentation made by the local Cub Scout Pack 251 which is led by Cubmaster Ryan Byrne and Assistant Cubmaster Stephanie Haehnel. The boys presented the colors and then recited the Pledge of Allegiance. 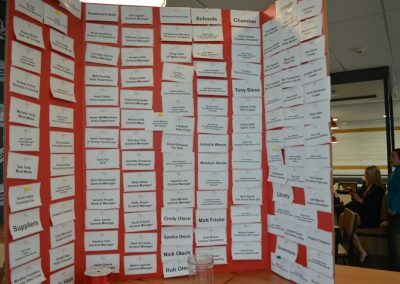 The first speakers were State Representative Anna Moeller, and Michelle Meyers Legislative Aide to State Representative, Steve Andersson. They presented David Bear with a special recognition from the Illinois 100th General Assembly House of Representatives. 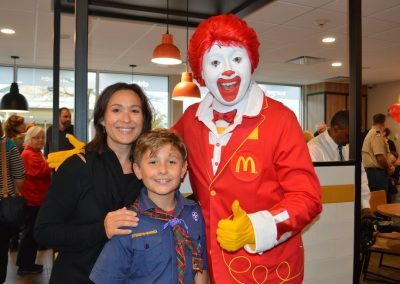 The award recognized David Bear and the Bear Family McDonald’s for their long history of being active and socially responsible members of every community they have served over the past 50 years. Village President, Steve Ward also spoke at the event and told David how thrilled they are to have him in the community and that he has helped them put South Elgin on the map. 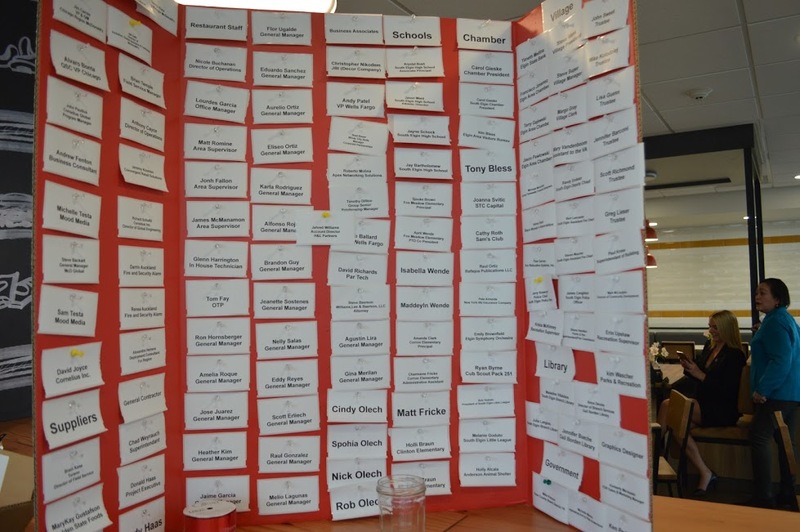 Also in attendance were many Village Trustees, all of the Elgin-area Chamber Members, and many more South Elgin community’s VIPs. 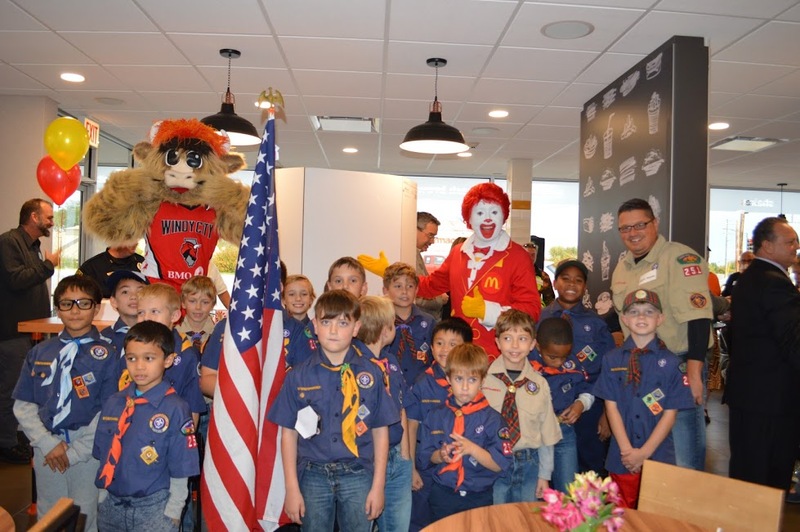 Additional speakers at the event included the following: Jim Carras, McDonald’s Chicago Region General Manager; Sjoukje Brown, the Principal of Fox Meadow Elementary School; Amanda Clark, the Principal of Corron Elementary School; Marcelle Bear, mother of David Bear, and the owner himself, David Bear. Marcelle Bear, David Bear’s mother an Elgin-area native, expressed great pride in the way her son has given back to the community. “McDonald’s is his life,” she said. David Bear spoke about how special South Elgin is to him as well. David talked about the experience he wants everyone to have at his restaurants. It is his top priority to impress every guest. The Principal of Fox Meadow School, Sjoukje Brown, said “I am very thankful for the generosity and community partnership our school has with the Bear Family”. 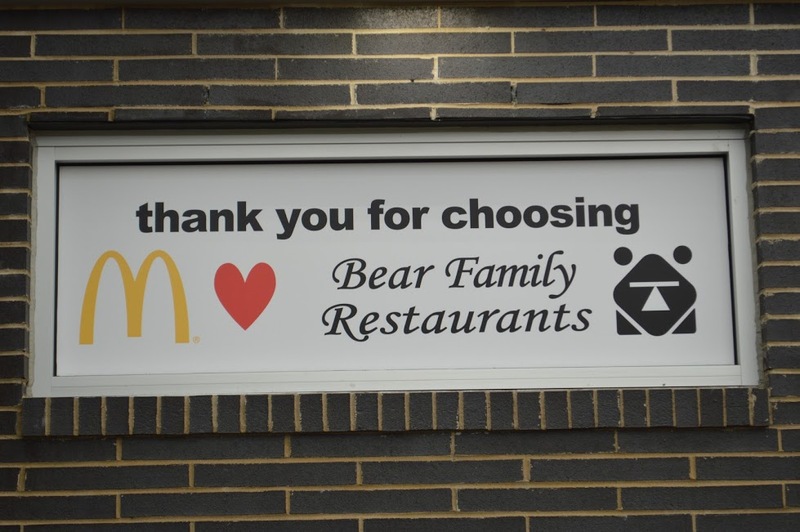 She also said with the help of the Bear Family and their McTeacher’s Nights, her school has raised $1949.10 over the past three years and the money has gone directly back to the classrooms. 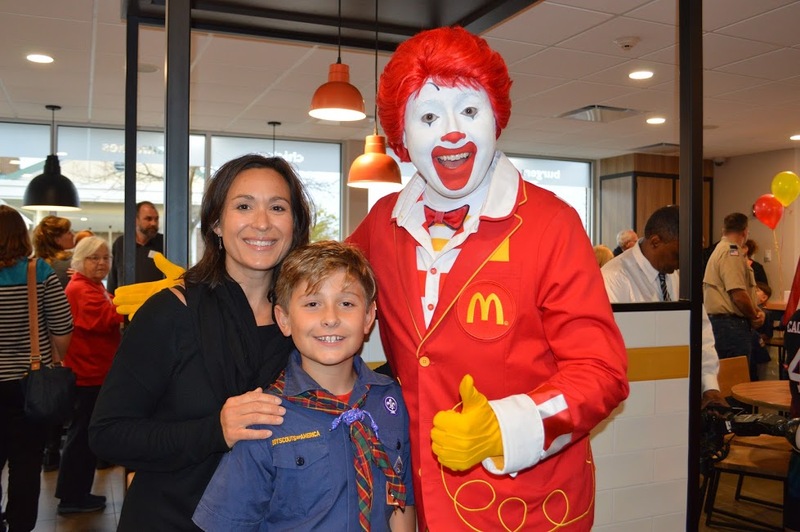 The Principal of Corron Elementary, Amanda Clark, told the crowd that this McDonald’s is an integral part of every family’s life. 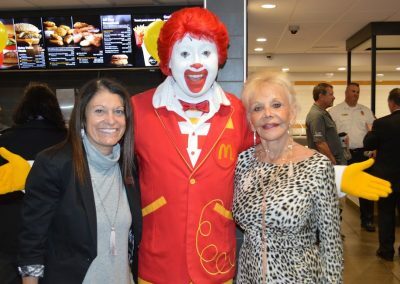 She said that the McTeacher’s Night is one of the most memorable events for the staff, parents, and community. She said the generosity of Mr. Bear goes above-and-beyond, reaching their school. 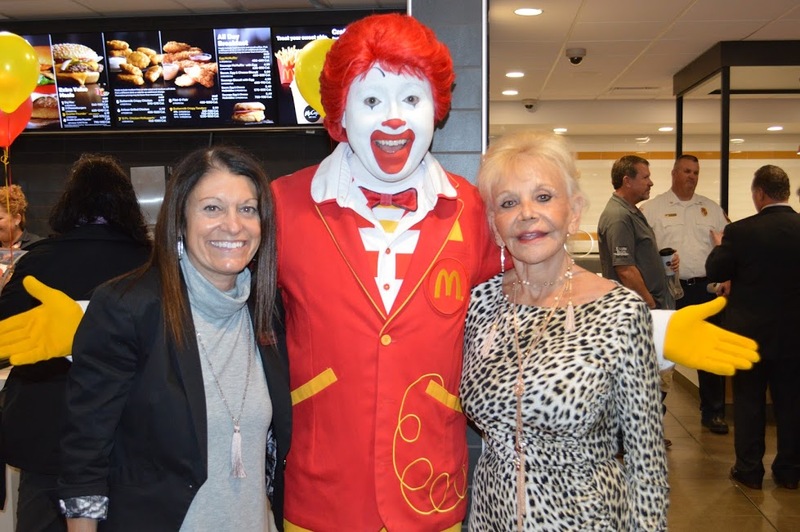 McTeacher’s Night have allowed them to purchase a variety of different non-fiction texts for kids to read in school and to send home to read with their parents. The event featured complimentary McDonald’s appetizers, smoothies, and of course, cake. 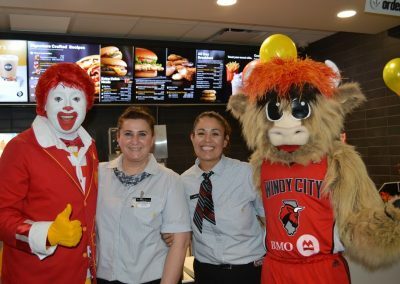 The event also featured special appearances by Ronald McDonald and Gus T. Bull from the Windy City Bulls.